The Toro side-by-side utility vehicles were first unveiled during GIE+EXPO in Louisville, Ky., in 2014, and were officially available to the construction and green industries in the first quarter of 2015. These powerful, four-wheel-drive vehicles offer hard-working hauling and towing capabilities in addition to comfortable seating for three. They can also be customized with a wide range of accessories including windshields, cabs, plow blades, light kits, winches, a stereo and more. Toro currently offers three versatile, gas-powered electronic fuel injection (EFI) models — the 500 EFI, 700 EFI and 700 EFI with power steering — that support more than 40 different accessories and attachments for year-round project needs. The Toro UTVs are powered by four-stroke engines with EFI technology that provides improved fuel efficiency and responsive performance. They also come standard with Duramatic automatic transmissions, dynamic engine braking, an integrated parking brake, and electronic two and four-wheel drive. Additionally, the easy-to-read digital display provides instant access to critical operating information such as fuel level, temperature, oil pressure and a speedometer/tachometer. The transformable design of the tilting rear cargo box allows conversion to a flatbed in minutes to enhance hauling versatility. The 500 EFI has a total payload capacity of 1,100 lbs and weighs in at 1,307 lbs, while both 700 EFI models boast a total payload capacity of 1,500 lbs with an operating weight of 1,363 lbs. These integrated features contribute to an ideal blend of capability and versatility. 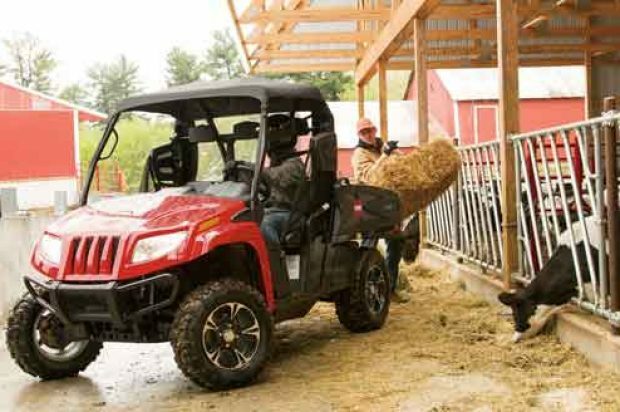 Toro UTV models are equipped with a standard front brush guard and adjustable CAM-style shocks for 10 in. of ground clearance to handle rough and challenging terrain, while at the same time, helping maintain the longevity of the machine. Front and rear 2-in. 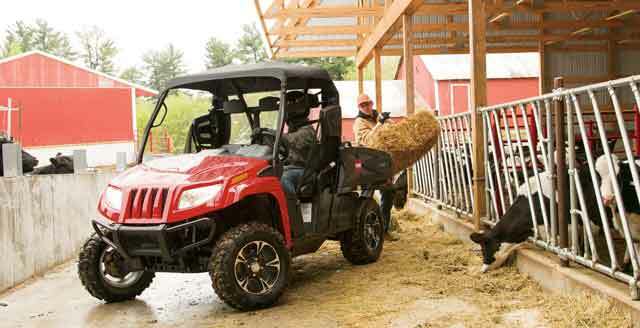 receivers give users the ability to hook up trailers or attachments at either end of the UTV. For more information, visit toro.com/utv.